Home /Packaging Shapes: Does it Affect the Consumers Purchasing Decisions? Packaging Shapes: Does it Affect the Consumers Purchasing Decisions? Recently, MJS Packaging examined the importance of color in packaging. Now, we want to highlight products that come packaged in interesting shapes and sizes. Shapes and size matter – both intriguing the consumer and influencing their purchasing decision. When it boils down to the consumer’s purchasing decision, one of the primary factors is the package’s shape. Its shape communicates various meanings. For instance, angular shapes lean toward masculinity, while bottles with curves speak to femininity. Package sizes can also be perceived as containing a higher quality product. Consumers sometimes believe small packages are of a higher quality if its label reflects the same message. Larger packages can also communicate high value if consumers believe they’re receiving more bang for their buck. While size, color, and shape matter, the package’s functionality and form are equally as important. MJS Packaging provides a few examples of many packaging options with interesting shapes. 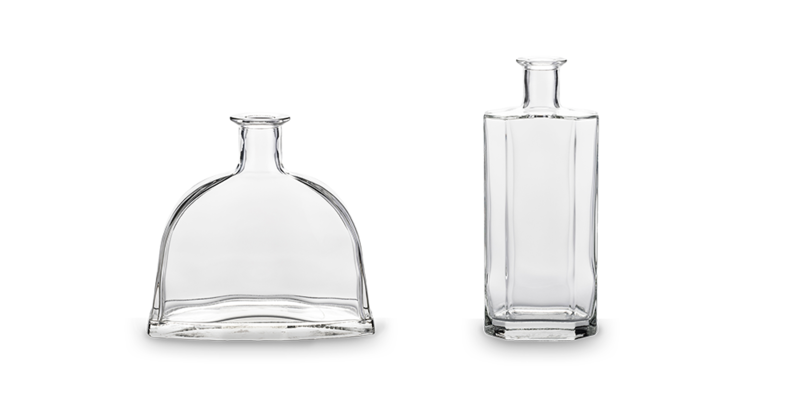 The Scala (left) bottle curved shape offers an interesting look for spirits, like tequila. While the height and bold lines of the Quartz bottle portray a strong presence for your spirits. Spirits: Spirits bottles speak volumes and can be the difference between consumers repurposing or tossing it into the recycling bin. These bottles communicate care with their meticulous embossing or imbedded crest designed onto the packaging. 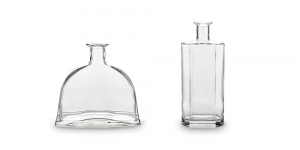 There are so many interesting shape options for this popular industry, including figured flasks, cylinder, square, and rectangular styles. This container offers easy scooping features for powder products for the on-the-go lifestyle. 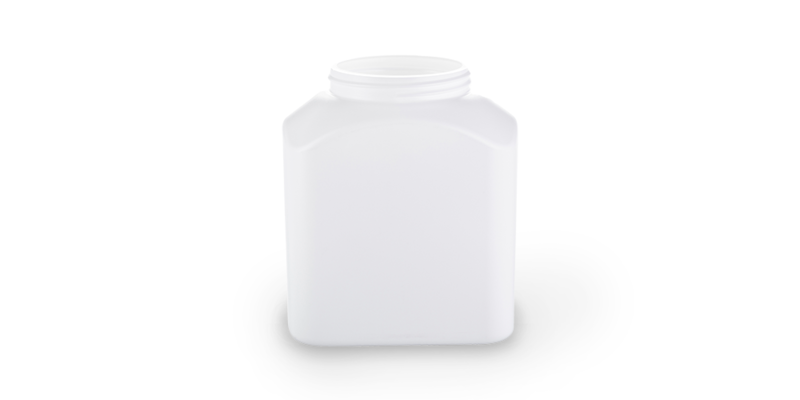 Nutraceutical: MJS Packaging loves this versatile high-density polyethylene (HDPE) oblong container. The wide neck creates a perfect option to pair with protein powders or drink flavorings. It’s also lightweight, so the container is great for on-the-go consumers. This jar is the perfect storage option for personal needs, such as candies and cotton balls. Small PET squared jar: Featured in a case study, custom PET squared jars have great uses for personal care, automotive, household chemicals, and food products. 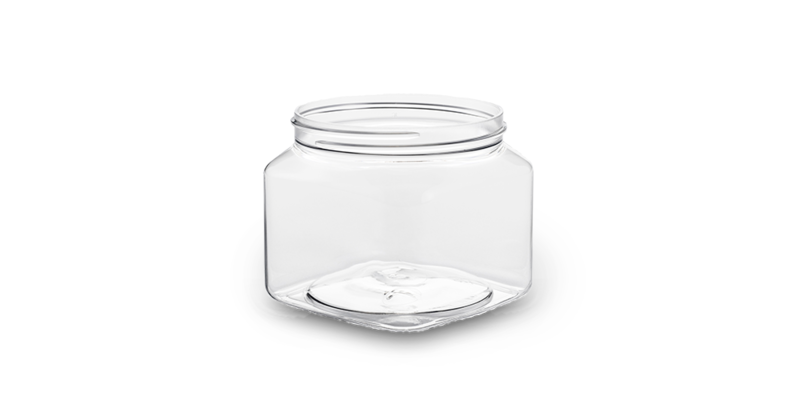 This jar has an aesthetically pleasing shape and solves customer’s problems that need a more stackable package. It increases productivity with its consistent jar quality, optimizes the labeling process, maximizes retail presence and generates consumer awareness. Separating powerful chemicals in the same bottle packaging is ideal for manufacturers and their consumers. Dual-chamber: A dual-chamber, better known as dual dispensing, bottle provides manufacturers the opportunity to enclose two products within the same package. It’s a great product differentiator that allows consumers to customize their product experience. It’s also widely used within the household chemical and automotive industries. Need Help Finding the Right Shape Bottle? 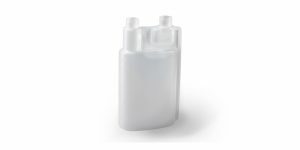 MJS Packaging offers intriguing and interesting bottle shapes for your products. These shapes entice consumers’ purchasing decisions with their innovative designs. Our packaging solution specialists are ready to help you choose the perfect bottle today. Contact MJS Packaging, or call us at 800-915-2262.